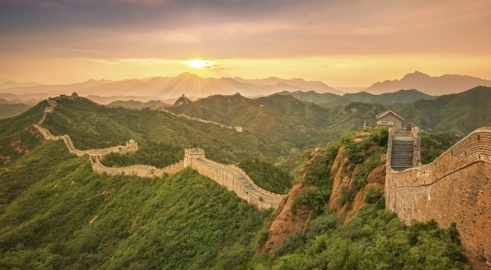 The Jin Shan Ling Wall is situated on the Big and Small Jin Shan Ling, hence its name. It is the best preserved part of the Great Wall and stretches from the Wang Jing Lou Tower in the east and ends at Longyukou in the west. All in all, it is about 10.5km long and consists of five main passes and 67 watchtowers every 100 meters. At Jin Shan Ling, visitors can catch a glimpse of many different styles of watchtowers (some one tiered, others two-tiered) Among then, the most celebrated are the Big and Small Jin Shan Watchtowers.